I have been missing in action here in the blogosphere for the last week or so. Real life took precedence. About two weeks ago we officially became homeowners. A great big house on two and a quarter acres. In need of some renovations to make it perfect for us, but a wonderful place for our family of six to call home. Lots of room to grow, run and play. I keep thinking about how before I know it I will have five men in my life. These little boyz will keep growing at an alarming rate and well now, we’ll fit here! On top of that we had a huge ole housewarming party. About sixty of our favorite people came last weekend to help celebrate this milestone in our lives. The house was brimming with happy sounds of chatter and laughter. John was grilling on the deck. The kids played outside. It was a cool but beautiful fall day. It was perfection. Every room I went into was filled with people I love and care about. It was so cozy and warming to the heart. And then this last week we worked on a float for the town Halloween parade. This is our fifth year doing it. 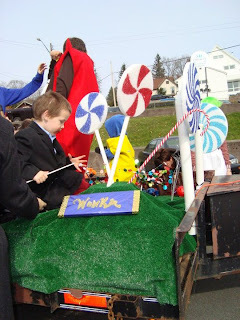 I love taking the theme and making it into a magical float for our family and friends. 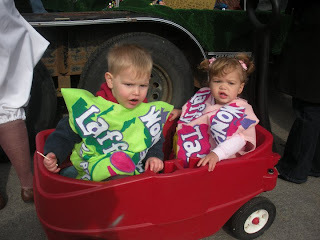 As a child our town festivities is something that I remember well. Part of the joy of raising children in small town life is that they get to participate in the same traditions and make them their own. This year we had the pleasure of doing it just for fun. 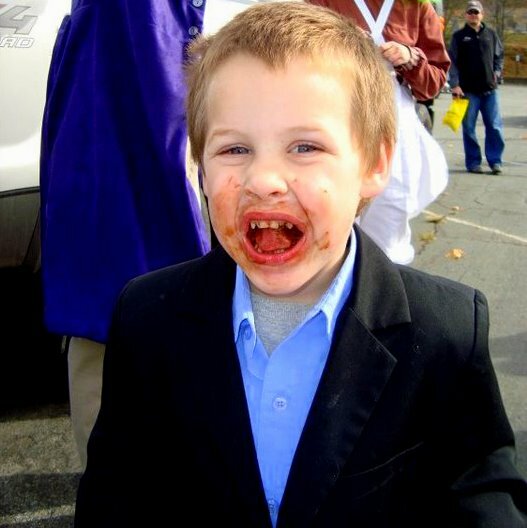 I served on the Parks and Rec Halloween Parade Committee this year. Since early this year (when there was still snow on the ground!) 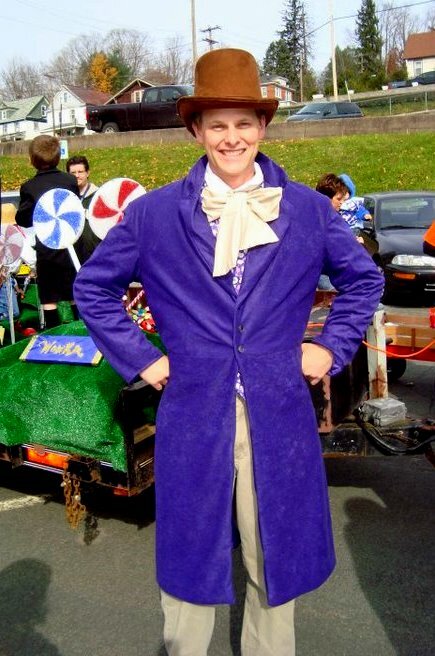 I have been going to meetings and helping to shape this year’s parade. Yesterday it was great to see that work go into action. It was also interesting to watch it all with a critical eye. To see what needs tweaking, what didn’t work as well as we had hoped, and what went wonderfully. Yesterday I also got to be a judge for the first time. I had served on the committee for months and it had never dawned on me that they would ask me to be one. As I am the only one on the committee that has ever made a float for the parade I was able to give a lot of insight into what goes into it, what the new judging criteria should be, how they should be scored and what the judges should be looking for. 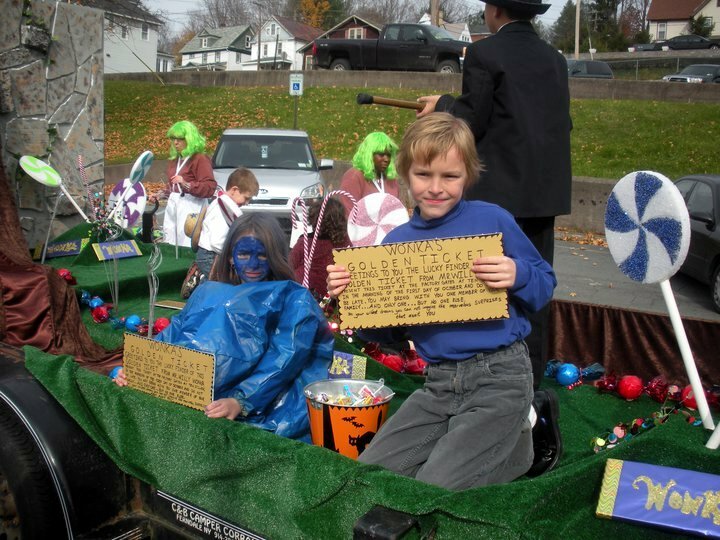 But as I had been the one to shape the new system and how it would work, I had already announced that our float would not be in contention for a prize. So there was no problem with me becoming a judge. It was fun to be able to walk around and see all of the children dressed up for the holiday. To get to look at all of the participants in the parade and hear about what they were and why, and how they made their costume. And it was great to do the same for the floats. All of the details, why they did a float, what lengths they went through. And then it was time for the parade to kick off. 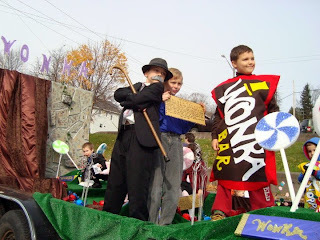 My friends and family on our Willy Wonka float. Put together for the sheer fun of the experience, the glee of the children, and the gift of community service. We had known for months we weren’t doing it for the competition, and our children did as well. The change in how everyone experienced the day was palpable. The children danced, wiggled and sang. There was no stress over who would get what place. There was no anxious undertone. Just joyful. From the littlest kids dressed as candy in wagons to the biggest kid of them all, Daddy D dressed as Willy Wonka, it was a great day. As I stood on the stage with the committee minutes after the parade ended and handed out the awards I got to survey the scene. Hundreds of participants enjoying snacks, painting pumpkins and having a good time. It felt great to have been a part of making that happen. Better than the trophies or first place plaque ever felt. A hundred times over. Will we do it again? Absolutely. While we were leaving the festivities I was stopped by the Parks and Rec Assistant Supervisor. He was brimming with new ideas for what to do differently next year and how to improve upon the parade even more. And he told me we would talk about it at our next meeting. I’ll be there for sure. 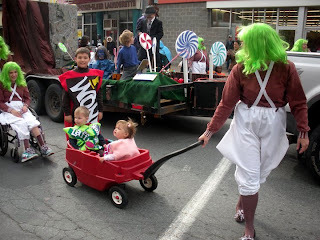 Because my favorite thing about yesterday was that my children learned that it isn’t about who wins, in fact they couldn’t even tell me last night what float got what place because it didn’t matter. What mattered was that we got out and DID for OUR community. We were a part. We served. And we loved it all the more. Now I am back. With an upcoming week of tons of review and giveaways. I have a ton sitting here waiting to post. In the meantime here are some pics from our parade float yesterday! Thank you to all of our friends and family for helping out, especially to the mommy brigade who donned the Oompa Loompa pants that do not flatter the hips and the green wigs that do nothing for the complexion. Thanks also to Kim, Jes & Brian for the pics.